It is commonly assumed that that David Brown cars simply fitted crossply tires and for the most part this is true. The Avon TurboSpeed crossply was one of the highest specification crossply tires you could get and its progressive handling was superb; offering high levels of grip and directional stability considering it was a crossply tire. However, peoples’ expectations of the levels of grip that could be expected from a tire were shattered with the introduction of radial tires at the end of the ‘40s. The radial tire was initially developed with the intention of increasing the longevity of a tire, which it did in leaps and bounds. The radial tire technology was developed to diminish the effects that the flexing of the side wall had on the tread that was in contact with the road. When a crossply tire corners and the side wall flexes this flex continues into the tread which twists and scrubs on the road wearing out the tread and actually lifting some of the tread off the road, dramatically diminishing grip and road-holding. A radial tire effectively has a separate belt within the tread that keeps the tread flat and doesn’t allow the tread to move around the way a crossply does. This dramatically increases the tire’s ability to withstand side forces in corners while also significantly decreasing that scrubbing and therefore wear of the tread. Initially this extra grip gave radial tires the reputation of letting go more violently when you did press on in corners, which of course it did, though part of this is simply because you were traveling faster when it did let go. What was needed was a sports car radial tire, offering extra grip and longevity but with a progressive brake away, so that powerful rear wheel drive sports cars, could tell when they were on the ragged edge. This is where the PIRELLI CINTURATO ™ stole the show; The rounded shoulders of PIRELLI CINTURATO ™ radial tires offered that progressive handling that was needed by the sports cars of the ‘50s, ‘60s, 70’s and even into the ‘80s. In 1952 PIRELLI released the new CINTURATO ™ CA67 radial tire for sports cars. All the top Italian manufacturers eagerly leapt on this new technology. PIRELLI CINTURATO ™ tires were being fitted by Ferrari, Maserati, Alfa Romeo and Lancia and the majority of Borrani wheels being produced were being fitted with CINTURATO ™ CA67 tires. Even in the UK this new technology was being fitted to the Lotus Elite, MGB and Rover P6. If you asked Aston Martin to fit radial tires to your DB2, DB2/4, DB mark3, DB4, DB5 or early DB6 car it was a PIRELLI CINTURATO ™ CA67 that they fitted. PIRELLI manufactured (and still do today) a 185VR16 CINTURATO ™ CA67 which was original equipment to ‘50s cars like the 250 GT Tour De France, Maserati 3500 GT. The CINTURATO ™ 185VR16 CA67 has an overall diameter of 27¾” (705mm) which is merely a wheel spin away from the 27 7/8 “ (709mm) of the standard crossply 600V16 fitted by Aston Martin in the ‘50s. Discerning Aston customers who had experienced European sports cars and the high -speed driving on the Autobahns of Europe would spend the extra money and Aston Martin offered the 185VR16 CINTURATO ™ CA67 for the David Brown models from the DB2 and DB2/4 up until the late DB4 when they moved onto 15” wheels. As a point of interest, back in 1999 the 185VR16 PIRELLI CINTURATO ™ CA67 for your DB2/4 or DB4 cost £ 235 + VAT. Today, the price has hardly changed. At the beginning of the ‘60s the world’s best sports cars changed from 16” wheels to 15” wheels. The new E-type Jaguar fitted 15” wheels with crossply tires, but like Aston if you wanted radial they fitted PIRELLI CINTURATO ™ CA67. The Ferrari 250 started to use 15” wheels with 185VR15 PIRELLI CINTURATO ™ CA67. The Aston Martin DB4, from 1962, DB5 and the DB6 series 1 fitted 15” wheels the standard was 6.70V15 Crossply tires. However if you specified radial tires Aston Martin fitted 185VR15 PIRELLI CINTURATO ™ CA67. Today for a DB5 or DB6 you couldn’t ask for a better tyre. Until 2011 PIRELLI’s CN72 CINTURATO ™ was like a forgotten tire, nobody had seen hide nor hair of one for some considerable time, which was a shame because it is a piece of history in its self. In 1964 PIRELLI developed the 205VR15 CN72 CINTURATO ™ HS. It was the largest sectioned radial tire to be produced capable of attaining the V (150mph) speed rating. Not surprisingly, it was jumped upon by the top European marques and fitted to cars like ISO Grifo, Ferrari 330GT & 500 Superfast, Maserati Mistral, Ghibli, Sebring, Mexico and 5000GT, Lamborghini Islero, Espada and the first Miura. In the mid ‘60s this was the best tire in the world, so of course Aston Martin had to have a slice of the action. The Series 2 DB6 had moved up in size to a 815V15 tire with the option of fitting PIRELLI’s ground breaking 205VR15 CN72 CINTURATO ™ HS. 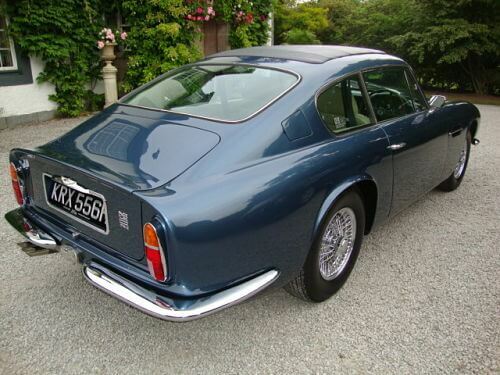 The 6 cylinder DBS was also fitted with 205VR15 CN72 CINTURATO ™ in its top spec radial option. 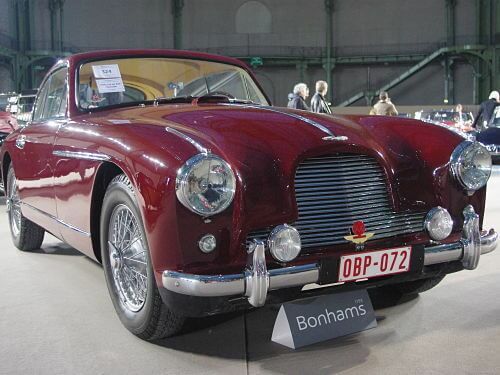 When the V8 Astons came out, Low profile tires had been developed and Avon had caught up with a radial tire that was capable of the performance that these cars were capable of; with the 225/70VR15 tires. These extra wide tires determined that power steering was fitted as standard to the V8 cars and for a while Aston’s allegiance with PIRELLI diminished. 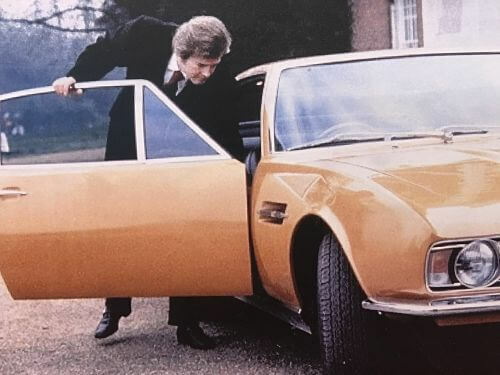 The astounding amount of power developed by Astons Flag ship Vantage V8 models of the late ‘70s demanded more grip and a higher specification tire. PIRELLI again came up trumps. The Lamborghini Miura SV model fitted an enormous tire to the rear which was just right for the V8 Vantage, so the V8 Vantage fitted 255/60WR15 PIRELLI CINTURATO ™ CN12 tires with W (170mph) speed rating. The exciting news is that PIRELLI are making these tyres again in small batches for the Aston Martin Vantage.